What does this say about our Liberal Media and their views and choices? “Struggling to iron-out a Wrinkle“ -- how pathetic is that! These are statements by the leaders of the “consensus of scientists” that are driving our energy systems that in turn are driving our economy. Just reflect on the impacts to food costs being driven by the misdirected mandates to burn our corn in our vehicles as ethanol compounded by a doubling of fuel costs over the past five years of The Obama Reign and the increases to come based on expensive and unreliable mandated alternatives. CLIMATEGATE II: SCIENTISTS PUSHED TO HIDE DATA - Emails leaked to the AP show the U.S. and other governments pushed scientists preparing a new UN climate report due out next week to omit or downplay evidence that the earth’s atmosphere has stopped warming for the past 15 years. It’s not just the 15 year “lull” in the global temperature that belies the Al Gore, Michael Mann hypothesis that man-kind is causing catastrophic changes in earths temperature and climate. This anti-fossil-fuel jihad was launched and sustained by the Gore-Mann Inconvenient Truth Hollywood Extravaganza that the earth had reached a “tipping point” because of man-made CO2 and we were on a path to scorching destruction via the thermal-runaway Hockey Stick. 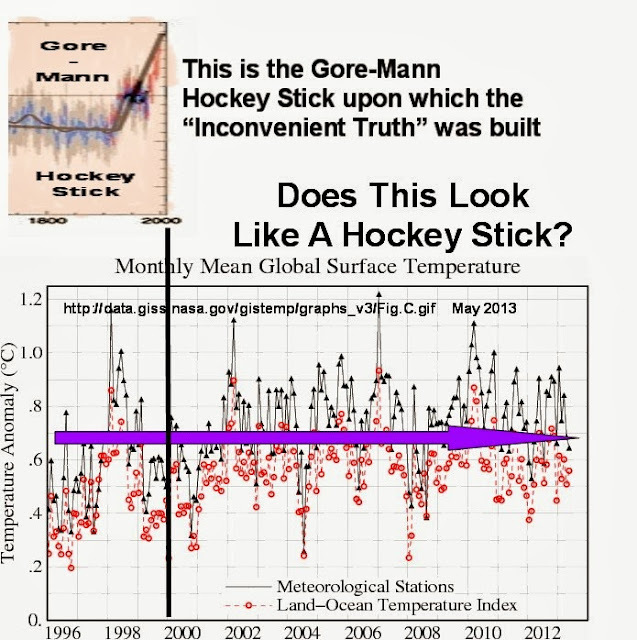 Hey Al and Mike – there’s no “wrinkle” and there’s no “Hockey Stick”! The 0.8 degree warming in the last 150 years has not been demonstrated to be caused by man-made CO2 but instead is consistent with the natural warming trend that caused the end of the little ice age circa 1750 to 1850. This trend is overlaid with earth’s natural variations that have occurred for all history. The climate is changing – the climate has always been changing! At what point are sensible people going to put this Alarmist Hypothesis into perspective and question all these unsubstantiated claims and their dysfunctional models? Challenge the Gore-Mann claims at every opportunity as if your quality of life and standard of living depends upon it – because it does! What If The Arctic Ice Sheet Grew By One-Million Square Miles And No One Told Us? 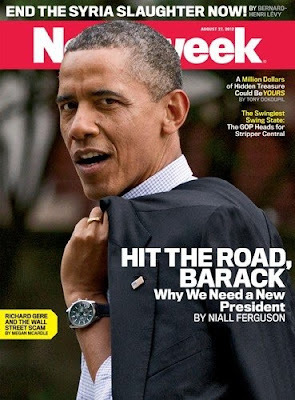 Five years after Obama’s big Stimulus Massive Spending Bill and run-away budgets and massive increases in our debt the Obama-Economy and particularity JOBS are a major failure. Only 47% of adult Americans have jobs and there are less full-time workers working now than when Obama took office five long years ago. 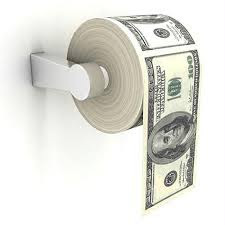 The FED has concluded that the Obama-Economy is so pathetically weak that the government must continue to print $85 BILLION of new monopoly money each month (that’s A TRILLION per year) or this sad economy will become even sadder. That’s all debt money that the taxpayers must pay the interest upon and ultimately must pay down the principle to the debt holders. As interest rates spike-up these payments will rob the economy of future prosperity just as you and I must sacrifice our standard-of-living to pay-down debts that we have incurred. Obama and his associates and supporters have no interest in managing this disaster – they’re too busy hammering Republicans to increase the debt-limit (analogous to raising the borrowing limit on your credit cards) so that the spending and debt increases can continue unabated. The Obama Economic Strategy: we don’t need or want businesses to build anything, we can spend our way to prosperity. To add insult to injury Obama’s signature program ObamaCare is aggravating the situation by increasing spending and moving people from full-time jobs to part-time jobs and hindering new-hire job creations. What a Joy! TIME puts Vladimir Putin on its front cover everywhere but in America! Apparently the editors of Time Magazine, as loyal members of the US liberal main-stream media, are helping their main-man Obama as much as they can and have decided that the American People are so incredibly dull that they wouldn’t know that across the globe their front covers hype Putin and marginalizes Obama and the US. Based on Obama’s two election victories – perhaps they are right. Talk about your shallow, condescending, biased and slanted pseudo-journalists! How pathetic is our Pravda Press! 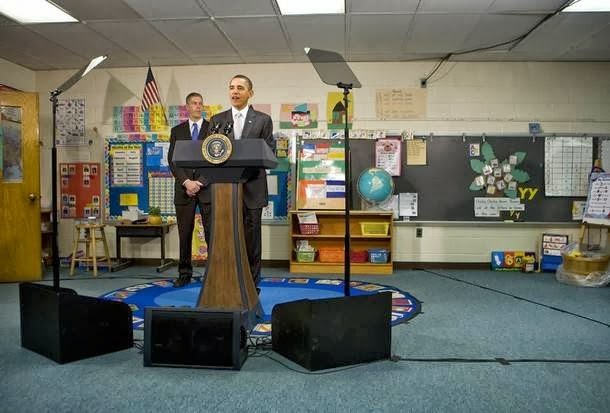 Click To View: Barack Obama: a monumental disappointment! 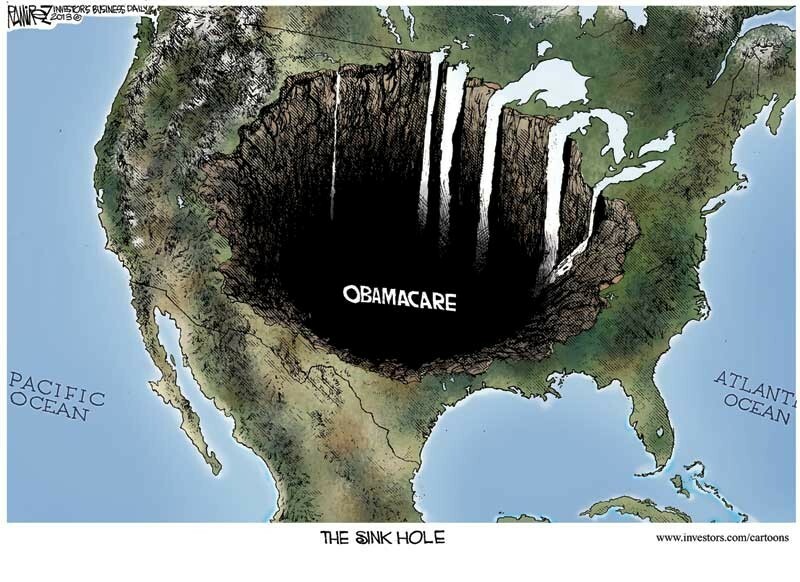 The negative and adverse consequences of ObamaCare are popping up allover and it hasn’t even kicked-in yet! What a joy to behold now that we’ve passed it and can read it. For those with a strong constitution and fortitude the following links provide the latest updates to the ongoing train-wreck that represents Obama’s “signature accomplishment”! How dare anyone ask anything about the law's implementation? Not found in the Roanoke Times and no Google Doodle either -- how sad! Today is Constitution Day – a day to reflect upon and celebrate our first principles, which make America the greatest nation on earth. Constitution Day is an important day for all Americans, but especially for Virginians. Virginians were instrumental in formulating our first principles, and founding fathers George Washington, Patrick Henry, Thomas Jefferson, James Madison and George Mason all called Virginia home. For a short time, Richmond even served as the capital of our newly independent states. 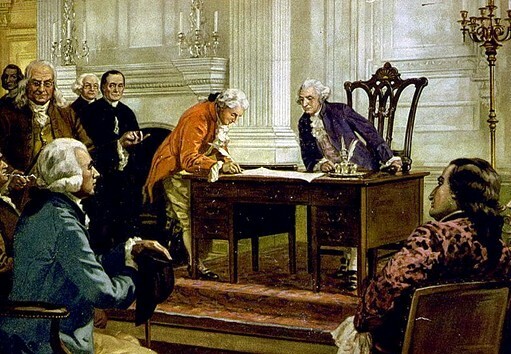 We celebrate Constitution Day every year on September 17th, to commemorate the day in 1787 when the Constitutional Convention signed the greatest document in history. Over the course of the 226 years since our Constitution was signed, Americans have fought and died to defend our freedom and our founding document. 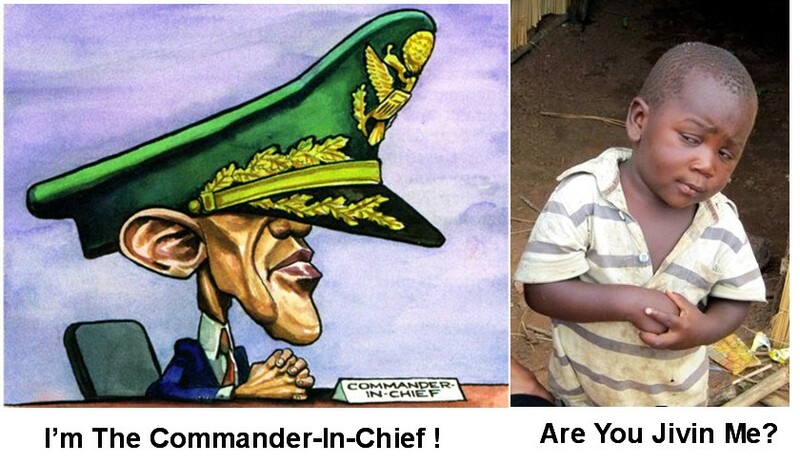 The oath of office of military officers is to "protect and defend the Constitution" not any office or office holders. A disturbing trend is the concept that the Constitution is “A Living Document”. The Constitution is a solemn contract between “The People” who won freedom and the new government to whom they delegated a very specific set of authority and responsibilities. The “Living” part of the Constitution is limited to the portion that relates to our changing technologies but not to our basic rights and form of governance. There also is a disturbing trend to use the InterState Commerce clause to marginalize States rights and authority and laws; and also the distortions of the equivalence of the three coequal branches of our government. 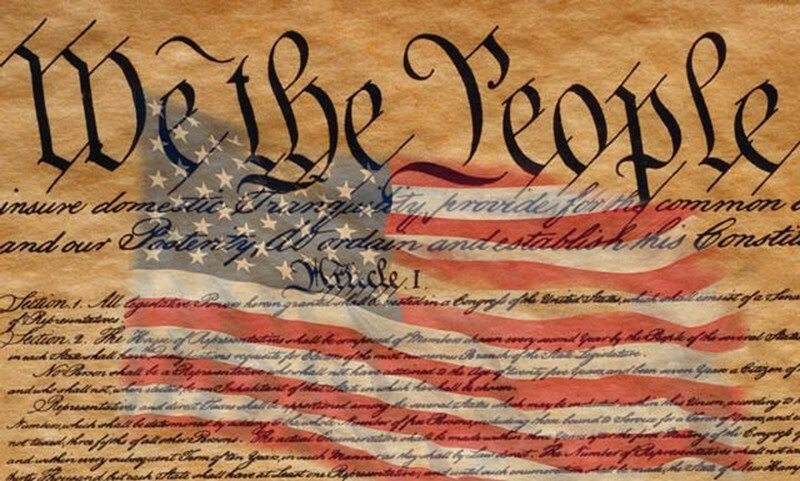 As we move forward we need to reflect on how important our Constitution is and how it has contributed to our wellbeing, prosperity and freedom. 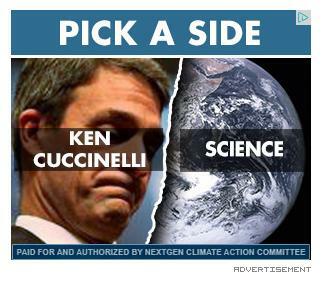 Terry McAuliffe has doubled-down on the discredited Al Gore & Mike Mann man-made AGW global warming hypothesis by adding the NextGenPAC to his election team. These same people who have attacked our energy infrastructure systems, doubled the price of fuel over the last four years, massively increased the price of food by burning our corn as ethanol, and gave us Solyndra instead of reliable affordable energy are now waging a political-war to seize control of the Virginia Statehouse. Complicit in all this is the major liberal media who are brazenly supporting McAuliffe’s campaign and who continue to hype the Gore-Mann hypothesis that has clearly been discredited both by scientists and by NASA and independent measurements. 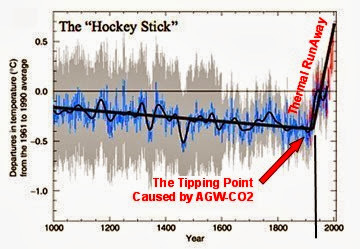 Hey Al and Mike --There is no hockey-stick! Virginia is successful because of its great people, its business friendly environment, and its proper utilization of its natural resources and energy. Imposing the Gore-Mann misdirected and draconian mandates upon Virginia will result in great adverse consequences to our economy and people without any measurable value to the earth’s well-being. And to think, the RT is printing this material but wants me to provide “sources” for any of the material in my LTE which they typically refuse to print anyway; and they gave his blog a post - more here than meets the type. “Nearly all of these groups and commentators are dead wrong. 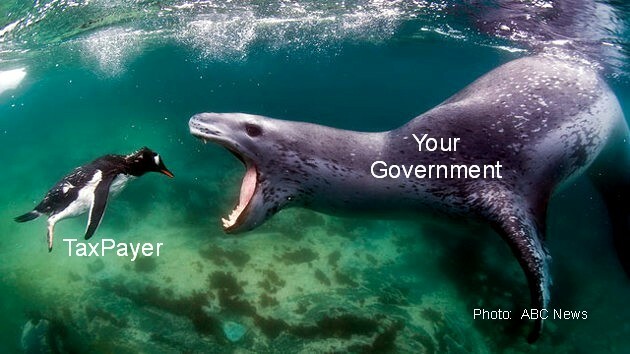 Simply put, the U.S. government is the monopoly issuer of the dollar. The U.S. government is no longer on a gold standard, and thus has the ability to issue currency in unlimited amounts and pay all its debts.” Justin Santopietro, Graduate Student at GW Univ. It’s wonderful to be a young student whose life experiences have primarily been framed by professional academics, whose lives have also been framed by academics in a nice warm communal nest unperturbed by real-life. “Don’t Fear The Debt” of $16 TRILLION at the Federal Level compounded by the debt at the state and local level and the “equivalent debt” of massively underfunded Social Security, Medicare, Medicaid and retirement systems. Really? Apparently this young man is unaware that the service (interest) on the debt really has to be paid at some point. And every dollar toward the interest is a dollar not available to purchase other goods and services. The “monopoly” analogy is good – we’re printing that at $85 BILLION a month. The third way is to grow the economy. That’s what we did after WW2. There is no viable path or method for the US to grow like that again. A country cannot grow at that rate or to that level based on a “service” economy. 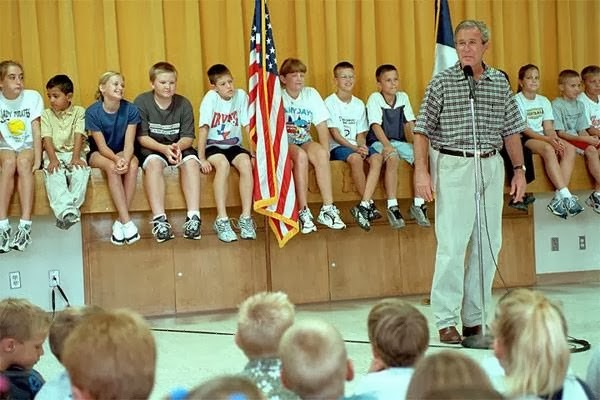 Apparently this young student studied the same economic principles that Obama did, the difference is that Obama is a multimillionaire and will have major multimillion government funding for the rest of his life. Good Luck Justin! A million square miles (1,000,000) is really BIG. Why hasn’t Al Gore and Mike Mann and friends told us about this? Among the examples of man-made AGW global warming that the Alarmists and their associates constantly bombard the public with is the “shocking decline of the Arctic Ice sheet”. Their exclusion of data that contradicts their hypothesis is part of their one-sided propaganda program to hype their views. No mention is made of the natural large variability of that ice sheet over time nor the major influence of the “little ice age” that ended in 1750 with a natural global warming trend that still continues today. This natural variability can be clearly seen by the million more square miles of ocean that are covered in ice in 2013 than in 2012, a whopping 60 percent increase -- and a dramatic deviation from predictions of an "ice-free Arctic in 2013". The surge in Arctic ice is a dramatic change from last year’s record-setting lows, which fueled dire predictions of an imminent ice-free summer. 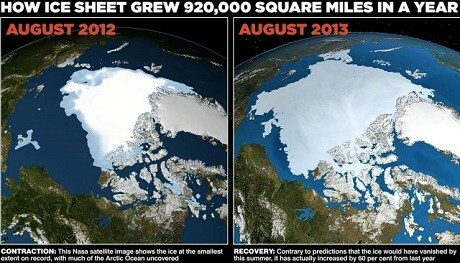 A 2007 BBC report said the Arctic could be ice free in 2013 -- a theory NASA still echoes today. Is a 0.8 degree change in 150 years a crisis? How much of those 0.8 degrees is natural variability? There has been negligible change in global temperature for the past 17 years. Alarmists claim that 10% of the atmospheric CO2 is man-caused; is this causing any measurable change in global temperature? An AGW-Skeptic is an honorable, responsible, and knowledgeable person who questions the validity or authenticity of something purported to be factual. 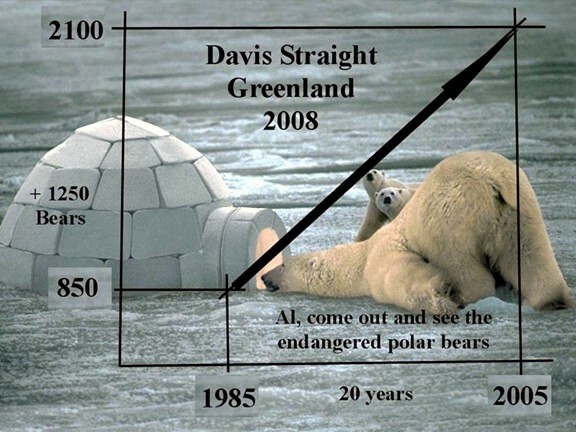 And how are the Polar Bears doing? NY Times Editorial by ex-KGB Chief Vladimir Putin makes it perfectly clear that Obama has achieved his goals of making America a second-rate non-exceptional entity, sitting in the back row of the world stage. It’s amazing that Obama has been able to do this in less than five years. Starting with his Apology Tour, Obama has utilized almost every opportunity to downgrade and marginalize America as a world leader and displace capitalism and individual initiative and responsibility with socialism and dependence. It’s now clear that he has been a great success achieving his objectives. Whatever happened to Ronald Regan’s “Shining City on The Hill”? It is very disturbing to see our local paper making more major painful reductions after several years of significant cost cutting and personnel reductions. This is a very difficult time to find a new job. Hopefully the Roanoke Times is providing good severance packages and healthcare bridges and relocation assistance to those who are being terminated. This should be an opportunity for the Editors and Management of the RT to reassess their business and journalism objectives and move in the direction of more balanced and fair reporting leaving behind their current economic, political and social jihad that is also adversely impacting many other liberal media outlets. This blog has tried in vain to influence the Editorial Staff of the RT that their Ultra-Progressive, Liberal and Democrat slant and bias was not good journalism and was alienating and disenfranchising many local patrons, subscribers and business advertisers. A good and healthy local paper is a significant asset to the community and serves many important functions and services. Hopefully the RT can move forward to an improved and healthy and prosperous future. This is our Secretary of State? 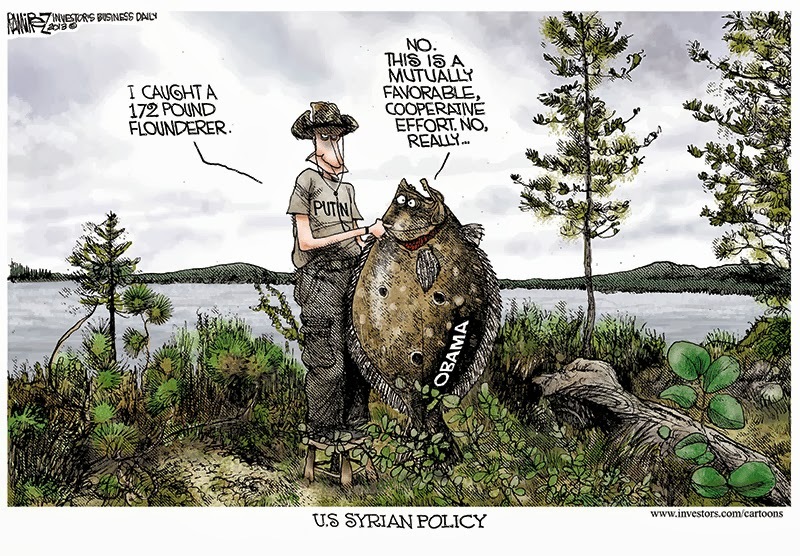 It’s now clear that Obama’s Bomb Syria Campaign, well after 100,000 dead and multiple uses of gas and not one rifle delivered to the “rebels”, is now a gross and feeble attempt at “Wagging The Dog”. 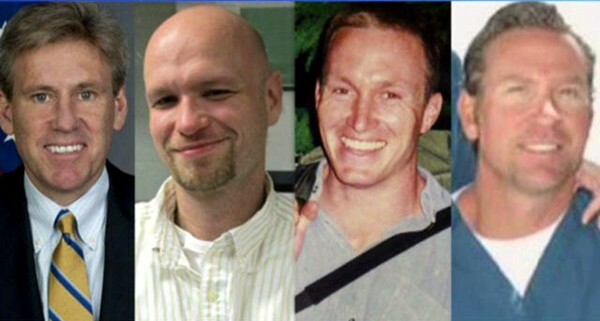 What are some of the additional major critical issues that Obama and associates and friends in the major media have now swept under the rug of saber rattling? Obama’s demand that Our Debt Ceiling be raised to over $17 TRILLION so that he can continue to print over $85 BILLION per month and spend the taxpayers future prosperity. The ObamaCare mess with the three BIG Obama lies: "you can keep you doctor, you can keep your plan, and your costs will go down"
Are now off the front pages -- how convenient is that! Who said Obama isn’t politically Chicago-smart? Who said Obama isn’t a hypocrite? Who said Obama represents a new and fresh face? Who said Obama is a leader that believes “the buck stops here”? More than seven in 10 say such a strike would not achieve significant goals for the U.S. and a similar amount say it's not in the national interest for the U.S. to get involved in Syria's bloody two-year long civil war. Only in an Obama Administration would a spokesman address a news conference yesterday with joy and celebration over the current unemployment data and news. What a pitiful disgrace. Five years into the Obama Reign and this! Employers added a disappointing 169,000 jobs in August, extending a midyear dip in the labor market amid federal spending cuts and a payroll tax increase. The unemployment rate, which is calculated from a different survey of households, fell to 7.3% from 7.4%, the Labor Department said Friday. That's the lowest since December 2008. However, the drop came because 312,000 Americans stopped working or looking for work — not because of a rise in employment. Twice as many workers stopped looking for work as found work! Not a single net-new job was added in the US home construction industry. Also the long-term unemployed and the underemployed have increased yet again. Whatever the dark reasoning behind Obama’s anti-business anti-capitalism thinking may be – after 5 years of his actions – the impacts on business creation and expansion and anemic job performance are clear for all to see. Obama’s response to his dismal failures: we need bigger and more intrusive government with lots more “shovel-ready” federal spending of taxpayer money and bigger deficits and debt. We can spend our way out of this – follow me! Click & View: Are The Good Times Over For Good? 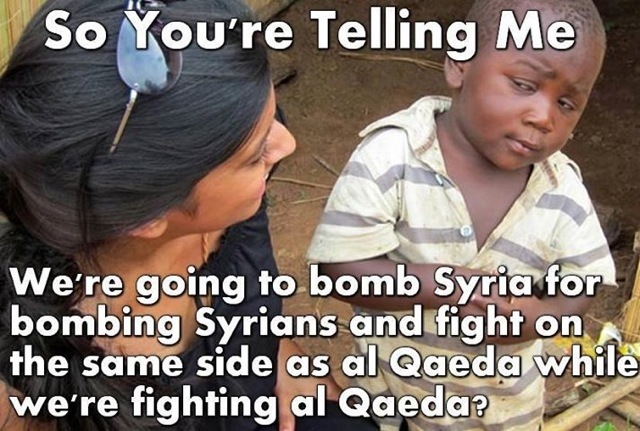 I don't know whether Assad or AlQaida gassed those poor people in Syria. I find it as abhorrent as anyone. What I do know is that, after the Benghazi, IRS and NSA scandals, this administration has no more credibility than Russia's Putin. They are all liars. What they tell us is everything about politics and nothing about humanity. That we should undertake such a dangerous operation as bombing another country because they say so is absurd. Until they come up with a better story that at least wins support from most of our allies, please vote no on acts of war. Author Unknown -- but very insightful. 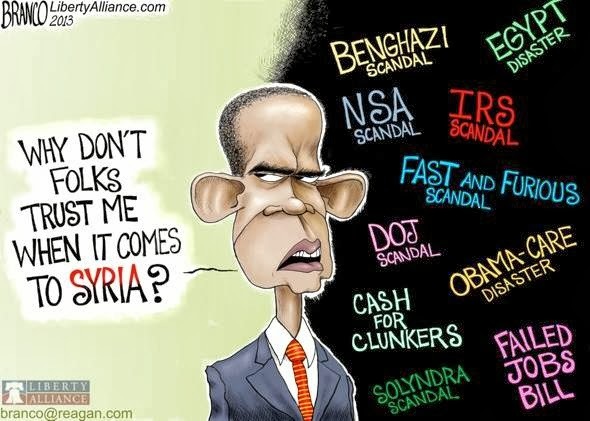 Latest Polling indicates American People want Obama to go to Damascus for an extended "Apology Tour". Clearly all this chaos must be America's fault and the people are confident that Obama can talk this all back and down with sincere apologies as long as he takes his Teleprompters along. Perhaps he can take an extra Stress-Button to give to the Russians. The one Hillary gave them doesn't seem to be working. How did we get to this point? - Apparently Just More Hope And Change We Can Believe In. Perhaps historians will provide a clear understanding of Barack Obama's head-snapping decision to pause his administration's urgent case for military strikes in Syria to seek the formal authorization he says he doesn't need from a Congress he disdains. Until then, the struggle to make sense of the Obama administration's ad hoc decision-making and confusing rhetoric on Syria will continue. The latest twist came Wednesday, when the president tried to explain away his declaration last summer that "the red line for us" would be Bashar Assad's use of chemical weapons. "I didn't set a red line," Mr. Obama said during a news conference in Stockholm, Sweden, claiming that he had been speaking for the entire world—even Congress. He was similarly considerate of Congress on Saturday, when in announcing his decision he explained that he is "mindful that I'm the president of the world's oldest constitutional democracy" and that the power of America is "rooted not just in our military might but in our example as a government of the people, by the people and for the people." President Obama fields a question at his Sept. 4 news conference in Stockholm. Mr. Obama hasn't always been mindful of such things, boasting for three years of his willingness to disregard Congress. At Georgetown University three months ago, Mr. Obama announced that he would bypass Congress to address what he described as the urgent threat of climate change. Global warming, he averred, "is a challenge that does not pause for partisan gridlock. It demands our attention now." He has done the same on immigration and the economy. "If Congress won't act, I will," he has said. Even on matters of war and peace, Mr. Obama has ignored Congress. He didn't consult Congress before launching military strikes in Libya in March 2011, and on the same day a bipartisan group of lawmakers filed suit to force him to seek congressional authorization, the administration sent Congress a 32-page report that included an explanation as to why the president could act without legislative approval. The report argued that the limited campaign, which featured no U.S. ground troops, was "consistent" with the 1973 War Powers Act and does not "require further authorization." It is therefore not surprising that congressional Republicans, once likened to "terrorists" by Vice President Joe Biden, are skeptical that Mr. Obama's decision to seek a legislative imprimatur on Syria grows out of a sudden interest in bipartisanship and the constitution. That the president's longtime adviser, David Axelrod, gleefully tweeted about the political implications—calling Congress "the dog that caught the car"—only feeds the cynicism. It isn't at all unreasonable to wonder whether Mr. Obama's decision to go to Congress is little more than an attempt to share responsibility with Republicans for authorizing an intervention that goes badly, or to blame them for constraining him if they don't. Nevertheless, the president's political maneuvering alone shouldn't keep Republicans from supporting intervention. What should stop them are doubts about his plans and competence. This is especially true for hawks who might otherwise be inclined to support him. When administration sources first leaked two weeks ago the president's parameters for intervention, they said two criteria guided his thinking: Military action would neither seek to alter the course of the war on the ground nor target regime leadership. This was an odd declaration of self-imposed restrictions, especially for a president who has said for more than a year that Bashar Assad must go. And it invited an obvious question: What's the point? The president elaborated when he told PBS's "NewsHour" that any strikes would be a "shot across the bow" to the Assad regime. But in announcing that his message is merely to send a message, the president undermined his primary objective. A "shot across the bow" implies further action if the warning is unheeded. In his repeated assurances that any U.S. action would be "limited" and "tailored" and "narrow," Mr. Obama has made clear that he has little appetite for escalation. The decision to escalate is not his alone. As former CIA Director Michael Hayden said Monday on CNN, there is a strong likelihood that Assad and his patrons in Tehran will retaliate: "We want it to be one and done—the president's made that very clear: Very limited strikes, very limited objectives—deterring, degrading the potential use of chemical weapons. He's doing it, our president, to show resolve . . . . But guess what, Assad and his Iranian and Hezbollah allies are going to want to show resolve, too. They're not going to want to give the United States a free ride for this kind of action." The Iranians, Mr. Hayden says, will be "engineering some kind of response." What will Obama do then? Even Syrians who might benefit from U.S. military intervention are apprehensive about the limited strikes telegraphed by the White House. "A light strike would be worse than doing nothing," Abdel Jabbar Akaidi, head of the Free Syrian Army in Aleppo province, told Syria Deeply, a blog about the conflict, this week. "If it's not the death blow, this game helps the regime even more. The Syrian people will only suffer more death and devastation when the regime retaliates." 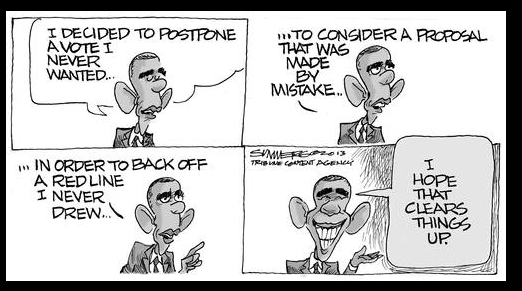 On Aug. 20, 2012, Mr. Obama described his "red line" on Syria. "We have been very clear to the Assad regime—but also to other players on the ground—that a red line for us is we start seeing a whole bunch of chemical weapons being moved around or being utilized. That would change my calculus." But when U.S. intelligence confirmed in June that Syria had used chemical weapons, nothing changed. White House national security aide Ben Rhodes declared that this breach of Mr. Obama's red line would trigger "military support"—meaning lethal aid—from the U.S. to the Syrian opposition. 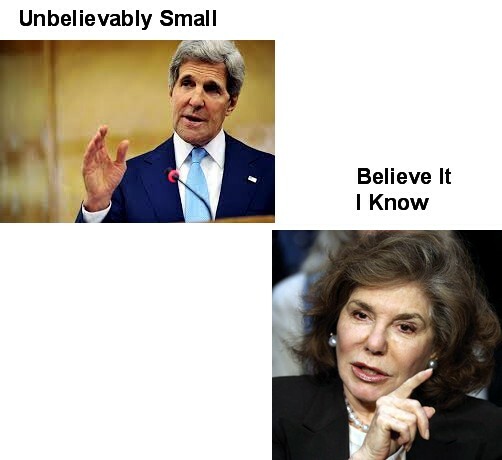 On Tuesday, Secretary of State John Kerry testified that the Syrian regime had used chemical weapons 14 times. The U.S. aid never arrived. To believe that an Obama-led intervention will end well requires disregarding everything he's done—or hasn't done—over two years in favor of an illusory expectation that he'll act with newfound determination to shape the outcome in a region ravaged by war. That's unlikely. There are many reasons for the U.S. to intervene in Syria: more than 100,000 dead, two million refugees, the repeated use of chemical weapons by a dictator who sponsors anti-American terrorists and is the puppet of a regime in Iran that is the world's foremost state sponsor of terror. The moral imperative is clear; the strategic case is solid. But a successful intervention requires a commander in chief committed to changing the war's momentum and changing the regime in Damascus. The White House has eschewed both. The only thing worse than not intervening in Syria would be a failed intervention—an outcome that will make future American interventions, by this president or another, in Syria or elsewhere, even more difficult. If President Obama exercises the authority he claims and launches a serious campaign to end the slaughter in Syria and change the regime in Damascus, Republicans should support him. Until he does, they should oppose him. Mr. Hayes is a senior writer for the Weekly Standard. 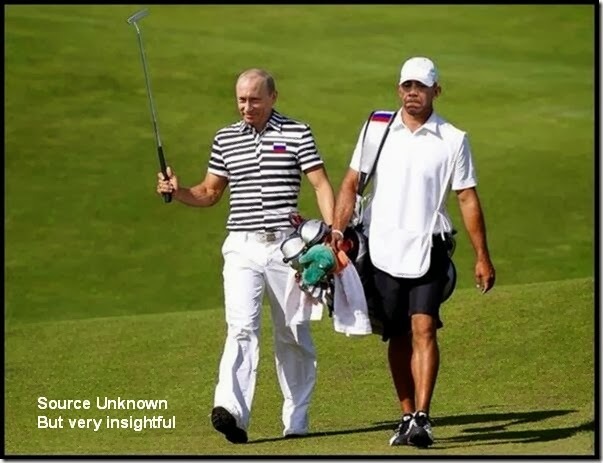 ST. PETERSBURG, Russia — President Barack Obama said Wednesday that he didn’t set the “red line” against Syria for the use of chemical weapons. Obama warns Bashar al-Assad that the use of chemical or biological weapons in Syria is a "red line" that should not be crossed. Obama has now crossed a personal “Red-Line” into a world of denial and/or he has transported himself into Orwell’s DoubleSpeak Novel “1984”. Even his family and loyal followers must be concerned with what is going on? This at the G20 in-front of the world leaders and particularly our adversaries! are asking America to follow "them" into War. They say it’s not a war. It’s just a bombardment of Syria’s people, facilities, materials and assets. 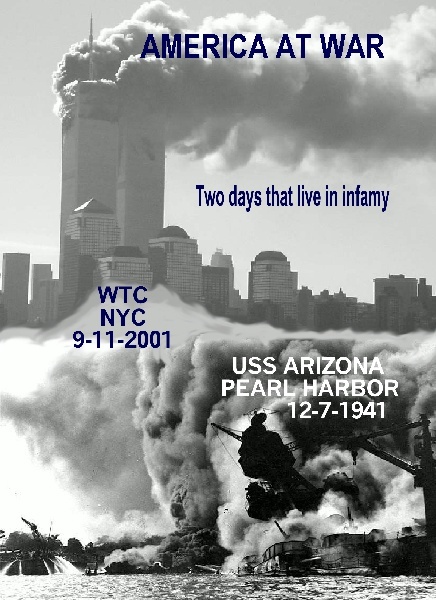 You know – kind-of like the Japs bombing Pearl Harbor to keep our navy from imposing an oil-embargo on Japan. That sure turned into a BIG WAR and QUICK! This isn't just a convenient way of diverting ALL the attention away from all the Administration scandals and ObamaCare and raising the debt ceiling to blow-through $17 TRILLION. Obama and friends wouldn't do that, would they? Wasn't there a movie about this? Something about "Wag the Dog"! Obama’s Coalition Of The Who; To Do What?